Every year, in early March, den Haag GAA host a football tournament pitting expat teams from all over Europe and native-Irish teams against each other. The picture below displays the teams that competed in the 2015 Invitational. Red lines indicate female teams, blue lines: male teams. Den Haag GAA club extends an invitation to all Junior level Ladies and Gent’s teams on the weekend of the 4th March 2017. There is no better opportunity to take a trip outside of Ireland, experience the delights of The Netherlands mixed in with a good day of GAA. Playing 11-a-side on rugby sized pitches, teams will battle it out in a series of group matches with the strongest teams contesting for the semi-finals and finals! Den Haag GAA club have established this event into a premier invitational tournament for visiting Irish and UK clubs. Enjoy a full day (Saturday) of high quality sport followed by dinner, presentation ceremony and the best of Dutch night life. We usually charge €35-€40 a head which includes registration, water, lunch and dinner/presentations. 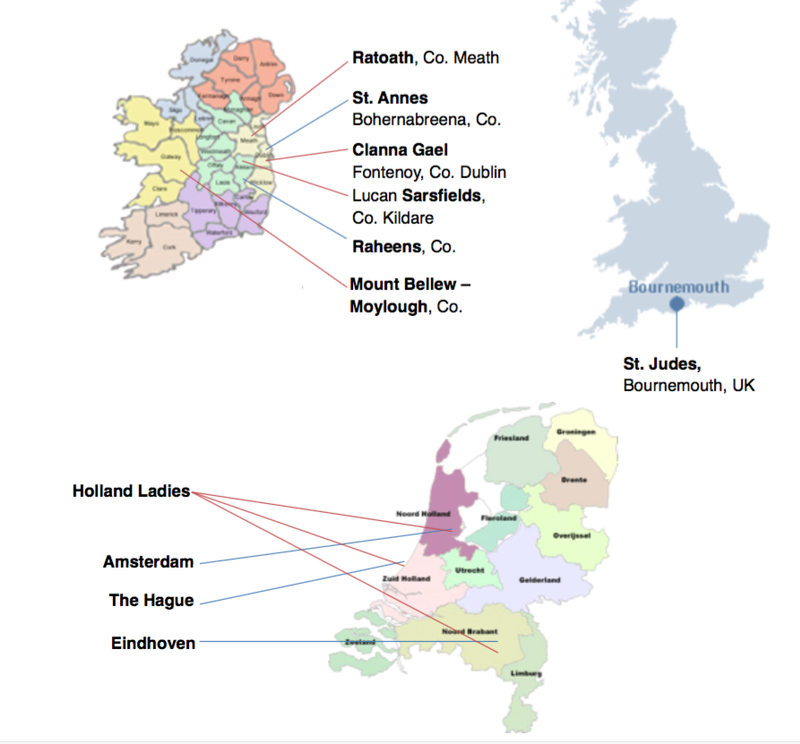 The Hague is easily accessible from Ireland at a very reasonable price from Dublin, Cork and Belfast. It is a 30 minute train ride from Amsterdam’s Schiphol airport (Aerlingus and Ryanair), 1.5 hours from Eindhoven airport (Ryanair). At certain periods of the year there are flights also into Rotterdam/The Hague Airport from the UK – Easy Jet and Transavia and others.